January is almost over. I was not able to make decent posts T_T It kind of makes me feel bad because part of my New Year’s Resolution was to blog often – although, I got to say, I never got to post one. Haha. So I guess I’m not breaking anything? Well, the month has been going on like a breeze. I was always busy at work, I had tons of stress cells because of some projects I had to tend to and it’s probably one reason why I just couldn’t drag myself to go online on my Mac anymore to make blog posts or anything. But I told myself a few weeks ago, I really need to bring back the geek in me. My weekends are still lazy and I still wake up late though so by the time I’m up, half of my day has already been spent. Tsk. But I truly have to make time for these stuffs soon. So, there goes my January…how about yours? Next PostTalent is a Priceless Gift! 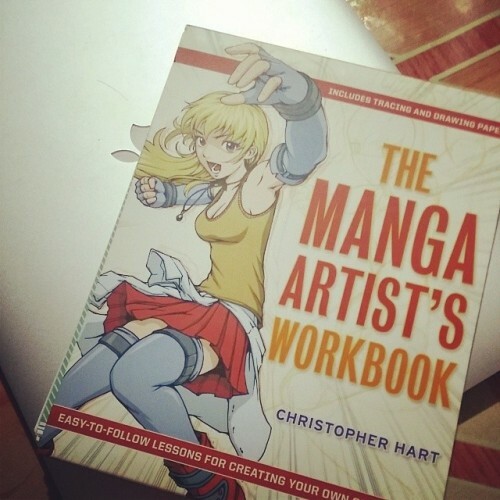 Very good manga workbook that you could work-on-it while enjoying the heat of the summer. Yeah January came so fast but it did go well. for me. January breezed so fast. I still keep writing 2013 actually haha. Congratulations to your Mama and good luck on your goals!